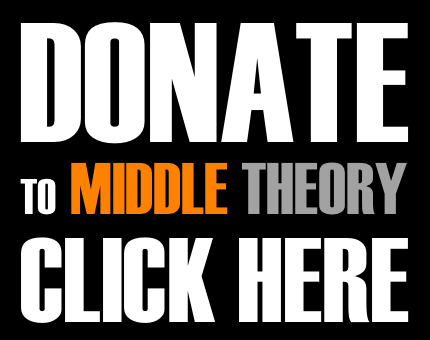 This week on Middle Theory, we showcase the scandal that has erupted following the release of inflammatory taped remarks by GOP candidate Donald Trump. As we kick things off this week, we take a moment to highlight Bell Pottinger, a company in the spotlight for creating propaganda videos for US in Iraq. Then we turn our attention to the WikiLeaks “October Surprise” (or lack thereof), highlighting Vanity Fair’s Six Most Explosive Things the latest email leaks have taught us. Clinton campaign manager John Podesta has spoken out about his involvement in the leaked emails, decrying Russian hackers and ‘phoney emails’ appearing in the leaks.The emails also show that Podesta corresponded with and met Delonge of Blink 182, to talk about aliens. Is there a deeper reason this should be of interest? After hours of prayer (and several glasses of hard liquor), Ted Cruz decided to make an ill-timed endorsement of Donald Trump, just hours before audio of Trump recorded having an extremely lewd conversation about women in 2005 surfaced; over the course of the days that followed, similar remarks from Trump on the Howard Stern Show, discussing his daughter and Miss Universe “walk ins”, cast the GOP candidate in a negative light. A former Miss Arizona, Tasha Dixon, says Trump ‘just came strolling right in’ on naked contestants, and the latest bombshell in the unfolding mess claim Trump may have used “THE N WORD” among other offensive terms, on the set of “The Apprentice”. Democrats are purportedly offering millions for leaked audio of these statements, or even transcripts that may confirm this, while independent groups seek funding for the $5 million legal penalty that would result from the release of any such audio. This entry was posted in Podcasts and tagged Donald Trump, Hillary Clinton, Julian Assange, Wikileaks by Micah Hanks. Bookmark the permalink. For god sake please stop linking CNN (and their affiliates) articles. There is no news there, just lies. They are in no way “middle”. Actually delete that post. Post whatever you want. I realised by saying that i’m no better then them. I found an easter egg on your website.